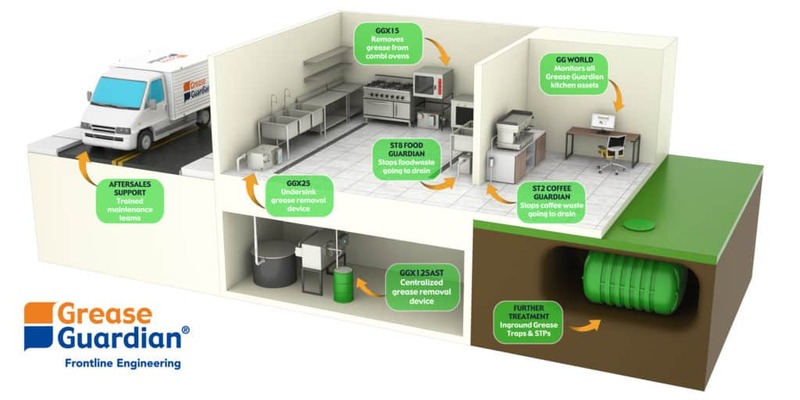 Grease traps for kitchens. Grease removal units drawing. Busy homes can produce a lot of grease. Many large homes have septic tanks or domestic treatment plants that can fill up with grease and eventually fail. Large homes or B&B's should install a domestic grease trap to prevent fats, oils and grease going to drain. Grease Guardian provide a range of grease traps designed specifically for marine applications. The Marine Guardian are state of the art grease recovery devices that are designed to operate on board ocean going ships. These grease traps can be easily fitted into existing or newly built ships and withstand harsh sea conditions.